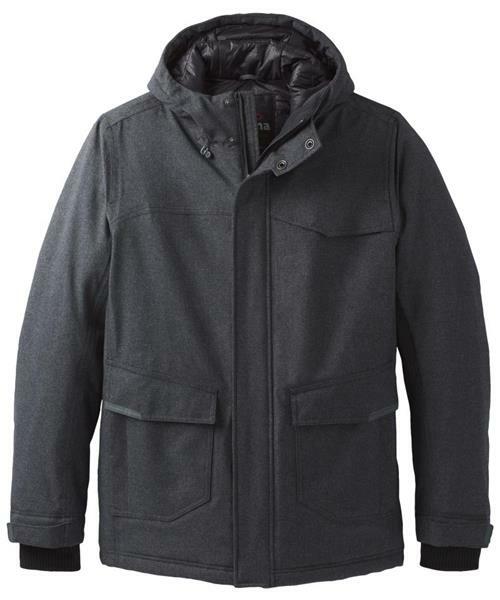 The prAna Jonas Parka is constructed from a melange twill shell with 10k/10k lamination with PFC-free DWR finish. The parka is fully seam sealed and is insulated with 200g Primaloft ECO. Design features include an adjustable hood with a drawcord system, a center front zipper closure with a storm flap, passport compatible interior security zip pocket with a media port, and zip entry hand warmer pockets.